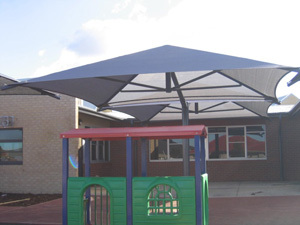 The café style commercial umbrella is a popular choice of shade cover for several reasons. 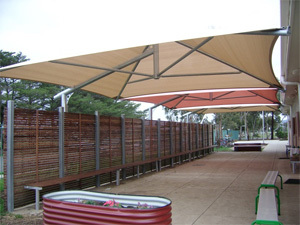 Not only is it an aesthetically attractive shade structure, but it also offers exceptional value in terms of its design. 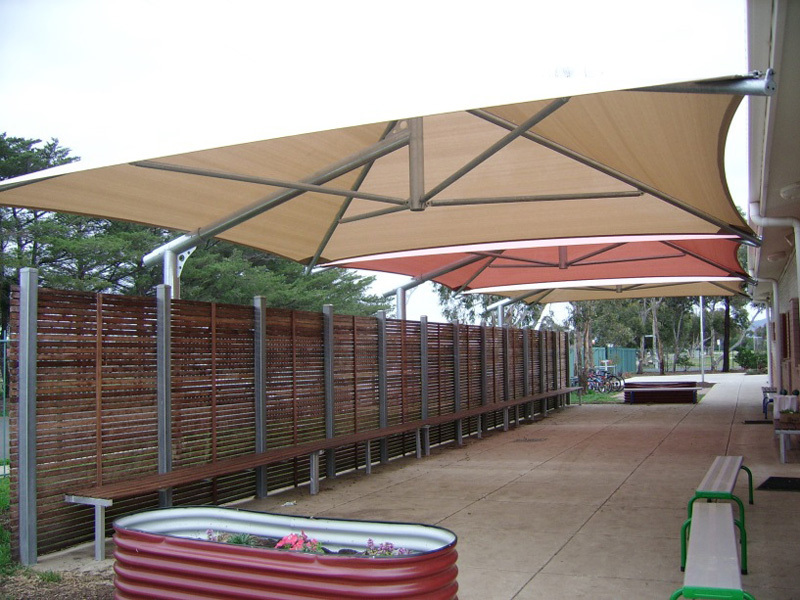 Its low edges keeps out more sun and each post is capable of providing 36m2 of shade, which frees up valuable space beneath the structure. 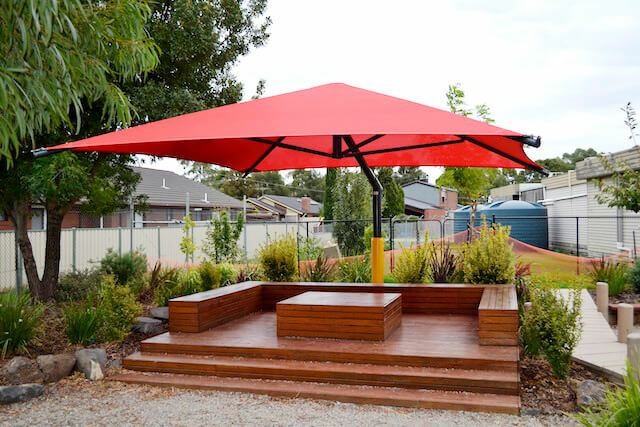 This is also ideal for architecturally awkward spaces, and areas where children might be playing, as there are fewer obstructions below the canopy. In addition to the ergonomic and safety benefits, these commercial umbrellas are also fully wind-rated. 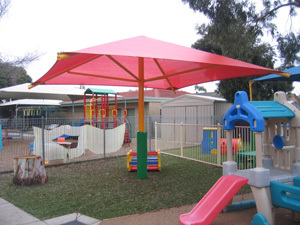 Designed and installed for Queen of Peace Primary School, Altona Meadows. 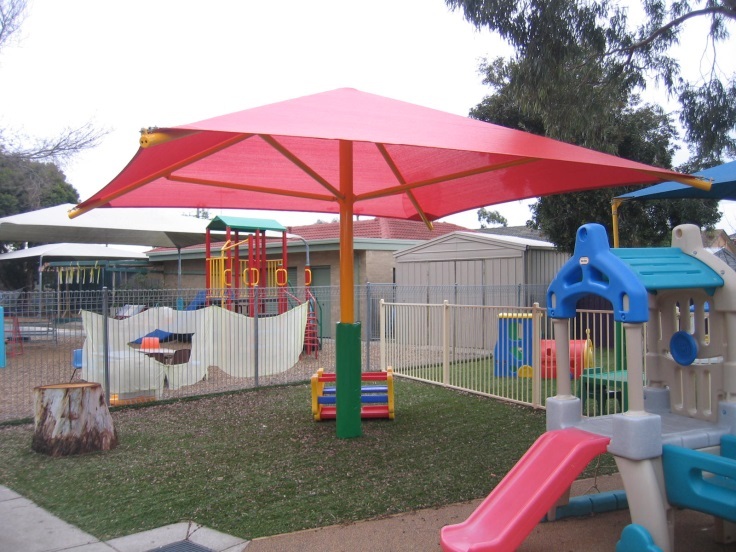 Designed and installed for Kileen Street Childcare Centre, West Sunshine. 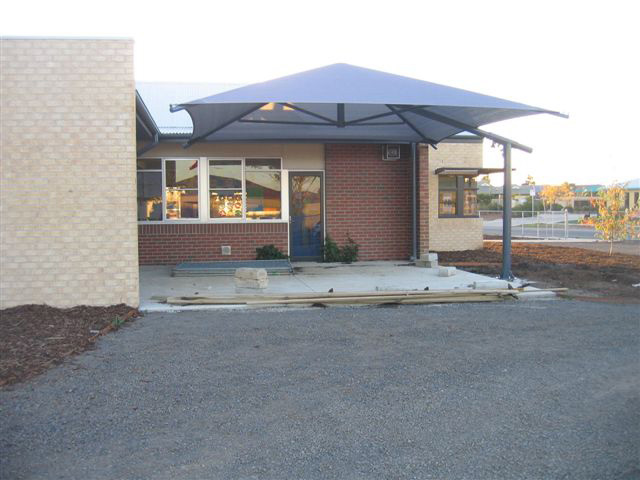 Installed at Baden Powell College, Tarneit.